Here’s something those familiar with the dubitable nature that is the Council on American-Islamic Relations will likely find unsurprising: CAIR has been named in a terrorist funding plot. Who have they been funding one might ask? Among others, no less than Palestinian Islamic resistant movement (i.e. 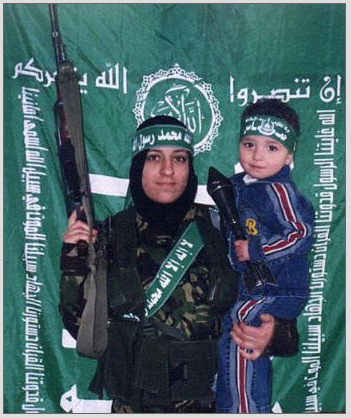 terrorist organization) and quasi-political entity, Hamas. If anything, the Council on American-Islamic Relations has existed as nothing more than a divisive thorn in the side to actual American-Islamic Relations. At nearly every turn CAIR has squandered real opportunities to foment genuine understanding of the Islamic faith to infidels such as myself by bridging the much needed gap between Islamic fanatics and Islamic moderates. Instead, since the inception of CAIR back in 1994, their leadership has time and again opted to litigiously decry openly outward views that, from their perspective, have demonized, even in the most intangible sense, the Islamic faith and the Muslim faithful while persistently refusing to censure peoples (such as Osama bin Laden) and groups (such as Hamas, Hezbollah, and the Muslim Brotherhood) who actively use violent means in the name of Allah, and in emulation of Muhammad, to achieve their ends. The US Airways Flight 300 fiasco and subsequent suit of that airlines (and innocent passengers as well) was only their latest despicable tactic to silence dissenters of Islam in their desire to squelch perceived discrimination against Muslims. I’ve said this before, but it seems necessary to retread old and familiar ground–the only thing Muslims of Middle Eastern descent need do in order to prevent recognizably questionable behavior is refrain from participating in such questionable behavior–behavior such as the type committed by the flying imams on US Airways Flight 300 for example, or the audacious behavior of the Muslim “musical group” on a Northwest flight back in 2004. In other words, don’t act like a moron and you’ll be fine. I promise. No one will care about you if you simply relax and enjoy your trip. Suspicions are rarely raised against persons, regardless of their ethnic background, if they’re just sitting quietly in their seats. I am a big advocate of that policy and guarantee it will work. So, while CAIR continues its reckless public relations policies, more and more American citizens are becoming aware of their shameless tactics and shameful funding policies. Let’s hope today’s revelation indicates another solid nail in the coffin for this detestable organization. FBI agents arrest CAIR Texas founder Ghassan Elashi and brothers in 2002. The Council on American-Islamic Relations, which brands itself as a mainstream promoter of civil rights, has been named with two other prominent U.S. Islamic groups as an “unindicted co-conspirator” in a plot to fund the terrorist group Hamas. Federal prosecutors also cited the Islamic Society of North America and the North American Islamic Trust as participants in a plot with five officials of the defunct Holy Land Foundation for Relief and Development, who go on trial July 16 in Dallas, the New York Sun reported. CAIR is a spinoff of the defunct Islamic Association for Palestine, launched by Hamas leader Mousa Abu Marzook and former university professor Sami al-Arian, who pleaded guilty last year to conspiracy to provide services to Palestinian Islamic Jihad. Several CAIR staffers have been convicted on terrorism-related charges, and CAIR founder Omar Ahmad allegedly told a group of Muslims they are in America not to assimilate but to help assert Islam’s rule over the country. The officials on trial in Dallas include Ghassan Elashi, who founded CAIR’s Texas chapter. The Holy Land Foundation also gave $5,000 in seed money to set up CAIR’s Washington office, according to congressional testimony by counter-terrorism researcher Steven Emerson. As WND reported in October, Elashi already has been sentenced to nearly seven years in prison for financial ties to a high-ranking Hamas terrorist and for making illegal computer exports to countries that back terrorism. The other officials on trial in Dallas are Shukri Abu-Baker, Mohammad El-Mezain, Mufid Abdulqader and Abdulraham Odeh. The Brotherhood, founded in Egypt in 1928, has spawned many of the leading terrorist groups, including al-Qaida, with its aim to restore the Muslim Caliphate and establish Islamic rule over the world. Prosecutors apply the designation “unindicted co-conspirator” because they believe the person or entity was part of the conspiracy. It allows prosecution witnesses to testify of statements the alleged conspirators made outside of court, which normally is forbidden as hearsay. The secretary-general of the Islamic Society of North America, Muneer Fareed, expressed surprise to the New York paper at being named in the case and said he was not aware of any connection between his group and the foundation. The Sun said spokesmen for CAIR did not respond to requests for comment, and efforts to contact the North American Islamic Trust were unsuccessful. The group’s regular meetings with the Justice Department and FBI have prompted complaints from case agents, who say the bureau rarely can make a move in the Muslim community without first consulting with CAIR, which sits on its advisory board. CAIR has conducted “sensitivity” and cultural training with federal agencies such as Immigration and Customs Enforcement and with the military. In June, a senior Department of Homeland Security official from Washington guided CAIR officials on a behind-the-scenes tour of Customs screening operations at Chicago’s O’Hare International Airport in response to CAIR complaints that Muslim travelers were being unfairly delayed as they entered the U.S. from abroad. Last year, Sen. Barbara Boxer, D-Calif., withdrew an award she gave to a local CAIR official, saying she was concerned about some statements by CAIR leaders. That is a quote from little old me from this story concerning Chicago’s ban on The Nativity Story advertising. As much as I believe that statement, little did I predict that a politician would emerge this quickly and demonstrate so thoroughly his lack of knowledge in matters he had better well have a near-expert understanding. Please meet your new Chairman of the House Intelligence Committee, Representative Silvestre Reyes, Democrat from Texas, a man who possesses an obvious flair for the obtuse. Below is an interview conducted by Jeff Stein for the Congressional Quarterly. In his time with the incoming HIC Chairman, Stein asked some fairly basic, and fairly simple questions concerning Islam, Iraq, Hezbollah, and al-Qaeda. Reyes’ mental acuity is shocking–not in what he knows, but in what he doesn’t (but certainly should) know. Now you may say to yourself, “Well, I don’t know all the answers,” or “those are some pretty tough questions.” That’s fine. But your job doesn’t likely require you to know all of the answers to the questions posed by Stein. It’s disturbing that the soon to be leader of the House Intelligence Committee, whose job it is to be intimately familiar with subjects and issues such as Islam, Iraq, Shiites vs. Sunnis, and al-Qaeda, has barely a clue as to what those concepts and entities entail. Reyes doesn’t even do a passable job stumbling his way through the interview with the typical politicized pat answers that all politicians practice religiously when standing in front of a mirror. But in all honesty, the questions in the interview are not difficult to anyone who keeps up with current world events, and I found myself becoming very angry with Reyes and the intellectual vacuum in which he resides . This man has no clue, and he has no right to sit as Chairman for a committee whose expertise lies in the areas in which he was queried. Oh well, Nancy Pelosi picks another winner to lead the nation. She would have been much better off choosing Reps. Jane Harman (Calif.), who does have the understanding and expertise necessary for the Chairman post, but Pelosi’s personal issues with Harman prevented her from making the right choice. Way to go, Pelosi. Silvestre Reyes was a helicopter crew chief flying dangerous combat missions in South Vietnam from the top of a soaring rocky outcrop near the sea called Marble Mountain. After the war, it turned out that the communist Viet Cong had tunneled into the hill and built a combat hospital right beneath the skids of Reyes’ UH-1 Huey gunship. Now the five-term Texas Democrat, 62, is facing similar unpleasant surprises about the enemy, this time as the incoming chairman of the House Intelligence Committee. That’s because, like a number of his colleagues and top counterterrorism officials that I’ve interviewed over the past several months, Reyes can’t answer some fundamental questions about the powerful forces arrayed against us in the Middle East. It begs the question, of course: How can the Intelligence Committee do effective oversight of U.S. spy agencies when its leaders don’t know basics about the battlefield? To his credit, Reyes, a kindly, thoughtful man who also sits on the Armed Service Committee, does see the undertows drawing the region into chaos. For example, he knows that the 1,400- year-old split in Islam between Sunnis and Shiites not only fuels the militias and death squads in Iraq, it drives the competition for supremacy across the Middle East between Shiite Iran and Sunni Saudi Arabia. That’s more than two key Republicans on the Intelligence Committee knew when I interviewed them last summer. Rep.
Terry Everett, R-Ala., both back for another term, were flummoxed by such basic questions, as were several top counterterrorism officials at the FBI. I thought it only right now to pose the same questions to a Democrat, especially one who will take charge of the Intelligence panel come January. The former border patrol agent also sits on the Armed Services Committee. Reyes stumbled when I asked him a simple question about al Qaeda at the end of a 40-minute interview in his office last week. Members of the Intelligence Committee, mind you, are paid $165,200 a year to know more than basic facts about our foes in the Middle East. We warmed up with a long discussion about intelligence issues and Iraq. And then we veered into terrorism’s major players. To me, it’s like asking about Catholics and Protestants in Northern Ireland: Who’s on what side? Al Qaeda is what, I asked, Sunni or Shia? “Sure,” I said, not knowing what else to say. “Predominantly — probably Shiite,” he ventured. He couldn’t have been more wrong. Al Qaeda is profoundly Sunni. 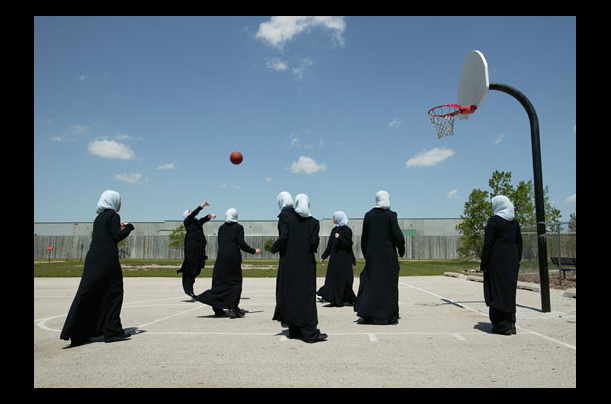 If a Shiite showed up at an al Qaeda club house, they’d slice off his head and use it for a soccer ball. That’s because the extremist Sunnis who make up a l Qaeda consider all Shiites to be heretics. Al Qaeda’s Sunni roots account for its very existence. Osama bin Laden and his followers believe the Saudi Royal family besmirched the true faith through their corruption and alliance with the United States, particularly allowing U.S. troops on Saudi soil. It’s been five years since these Muslim extremists flew hijacked airliners into the World Trade Center. Is it too much to ask that our intelligence overseers know who they are? And Hezbollah? I asked him. What are they? He laughed again, shifting in his seat. “Poquito?! “ He laughed again. “Go ahead,” I said, talk to me about Sunnis and Shia in Spanish. I apologized for putting him “on the spot a little.” But I reminded him that the people who have killed thousands of Americans on U.S. soil and in the Middle East have been front page news for a long time now. It’s been 23 years since a Hezbollah suicide bomber killed over 200 U.S. military personnel in Beirut, mostly Marines. Hezbollah, a creature of Iran, is close to taking over in Lebanon. Reports say they are helping train Iraqi Shiites to kill Sunnis in the spiralling civil war. “Yeah,” Reyes said, rightly observing, “but . . . it’s not like the Hatfields and the McCoys. It’s a heck of a lot more complex. The best argument for needing to understand who’s what in the Middle East is probably the mistaken invasion itself, despite the preponderance of expert opinion that it was a terrible idea — including that of Bush’s father and his advisers. On the day in 2003 when Iraqi mobs toppled the statue of Saddam Hussein in Baghdad, Bush was said to be unaware of the possibility that a Sunni-Shia civil war could fill the power vacuum, according to a reliable source with good White House connections. If President Bush and some of his closest associates, not to mention top counterterrorism officials, have demonstrated their own ignorance about who the players are in the Middle East, why should we expect the leaders of the House Intelligence Committee to get it right? “Why do they kill people of other religions because of religion?” wondered Lott, a member of the Senate Intelligence Committee, after a meeting with Bush. “Why do they hate the Israelis and despise their right to exist? Why do they hate each other? Why do Sunnis kill Shiites? How do they tell the difference? “They all look the same to me,” Lott said. The administration’s disinterest in the Arab world has rattled down the chain of command. Only six people in the U.S. Embassy in Baghdad are fluent in Arabic, according to last week’s report of the Iraq Study Group. Only about two dozen of the embassy’s thousand employees have some familiarity with the language, the report said. Rare is the military unit with an American soldier who can read a captured document or interrogate a prisoner, my own sources tell me. Yet Reyes says he favors sending more troops there. “If it’s going to target the militias and eliminate them, I think that’s a worthwhile investment,” he said. It’s hard to find anybody in Iraq who thinks the U.S. can do that. On “a temporary basis, I’m willing to ramp them up by twenty or thirty thousand . . . for, I don’t know, two months, four months, six months — but certainly that would be an exception,” Reyes said. Meanwhile, the killing is going on below decks, too, within Sunni and Shiite groups and factions. Anybody who pays serious attention to Iraq knows that. Reyes says his first hearings come January will focus on how U.S. intelligence can do a better job helping the troops in Iraq. It may be way too late for that. “Stop giving me tests!” Reyes exclaimed, half kidding. The incoming Democratic chairman of the House intelligence committee could not describe Hezbollah and incorrectly described al-Qaeda‘s Islamic roots in a recent interview. Rep. Silvestre Reyes (D-Tex. ), whom incoming Speaker Nancy Pelosi (D-Calif.) named earlier this month to chair the panel, formally known as the Permanent Select Committee on Intelligence, was asked by a reporter from Congressional Quarterly whether al-Qaeda was Sunni or Shiite. “Predominantly — probably Shiite,” Reyes replied. From Osama bin Laden down, al-Qaeda’s leadership is comprehensively Sunni and subscribes to a form of Sunni Islam known for not tolerating theological deviation. In fact, U.S. officials blame al-Qaeda’s late leader in Iraq, Abu Musab al-Zarqawi, for the surge in sectarian violence between Sunnis and Shiites. Reyes, a former Border Patrol agent and an opponent of the Iraq war, was chosen for the intelligence committee post over the panel’s two top-ranking Democrats, Reps. Jane Harman (Calif.) and Alcee L. Hastings (Fla.). Reyes’s office issued a statement yesterday noting that the interview covered a wide range of topics. “As a member of the intelligence committee since before 9/11, I’m acutely aware of al-Qaeda’s desire to harm Americans. The intelligence committee will keep its eye on the ball and focus on the pressing security and intelligence issues facing us,” Reyes said in the statement. OBVIOUS NEWS!! 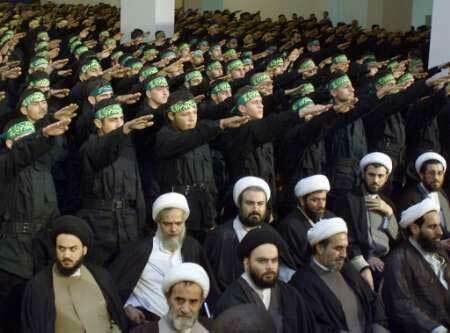 HEZBOLLAH IS A TERRORIST ORGANIZATION!! A comment from a fellow WordPress poster on my piece, Qana Bombing: Where are the 9/11 Conspiracy Nuts Now? caused me to bristle a bit when said poster attempted to indicate that Hezbollah is not a terrorist organization. After responding to his comment on that blog entry, I was then promted to find this list which details most of the higher profile terrorist acts committed by Hezbollah since May of 2000, when Israel unilaterally withdrew from southern Lebanon. 24 Jul 2006 – Hezbollah fired more than 70 Katyusha rockets into Israel, several of which landed in Nahariya, Safed, and Kiryat Shmona. Medics treated at least 49 people who were lightly to moderately wounded. More than 2200 rockets have been fired at Israeli cities since July 12, killing 17 Israelis, all of them civilians. 20 Israeli soldiers were killed in other incidents. 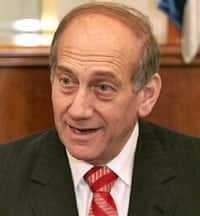 23 Jul 2006 – Shimon Glickblich, 60, of Haifa was killed Sunday morning (11:00) while driving his car in Haifa. Habib Isa Awad, 48, of Iblin, was killed while working in the carpentry shop in Kiryat Ata. Another 12 were wounded in the morning barrage in Haifa, and more later in the day as over 90 rockets were fired at Haifa, Akko, Kiryat Shmona, and elsewhere in northern Israel. 20 Jul 2006 – Five IDF soldiers were killed and five wounded in continuing exchanges of fire in the Lebanese village of Maroun al-Ras, near Avivim, where two soldiers were killed on Wednesday. The body of the fifth soldier, St.-Sgt. Yonatan (Sergei) Vlasyuk, 21, of Kibbutz Lahav was retrieved on July 22. At 16, Yonatan immigrated alone to Israel through the Jewish Agency’s “Na’aleh” program. He was adopted by Dalia Gal, a member of Kibbutz Lahav in the Negev. An IDF officer was killed and three soldiers were wounded as two Apache (Cobra) combat helicopters on their way to Lebanon to assist IDF forces operating against Hezbollah terrorists near Avivim collided and then crashed south of Kiryat Shmona. 19 Jul 2006 – St.-Sgt. Yonatan Hadasi, 21, of Kibbutz Merhavia and St.-Sgt. Yotam Gilboa, 21, of Kibbutz Maoz Haim were killed and nine soldiers were wounded in exchanges of fire between IDF and Hezbollah in south Lebanon, near Moshav Avivim. The Israeli force had crossed the border to destroy the Hezbollah rocket-launching position at the former IDF outpost of Shaked. Rabia Abed Taluzi (3) and his brother Mahmoud (7) who were playing soccer outside their house were killed and dozens were wounded in two Katyusha rocket attacks on the Israeli Arab city of Nazareth. 18 Jul 2006 – Andrei Zelinksy, 36, was killed Tuesday evening in Nahariya outside a bomb shelter. Though he managed to save his family by rushing them into the shelter, he returned home to get a blanket for his daughter and was killed. Some 130 rockets were fired at the north on Tuesday, 100 of them within one hour and a half – also landing in the Haifa area, Karmiel, Tiberias, Safed, Maalot and Rosh Pina. About 60 people injured were evacuated to hospitals in Safed and Nahariya. 17 Jul 2006 – Over 50 rockets were fired towards the eastern and upper Galilee on Monday night. A Katyusha rocket hit the external wall of the Rebecca Sieff Hospital in Safed, causing damage to infrastructure; five patients, two doctors and two other hospital employees were injured. Earlier, 11 people were wounded in Haifa when a 3-story apartment building was hit by missile. The Israel Air Force destroyed at least ten long-range Iranian-made missiles capable of hitting Tel Aviv, by targeting a Hezbollah truck carrying the missiles before they could be launched. To date, missiles have been fired up to 40 kilometers into Israel. 16 Jul 2006 – Eight killed, 50 wounded in Hezbollah rocket attack on Haifa – Rockets began falling on the Haifa area shortly after 9:00 a.m. Eight employees of Israel Railways at the Haifa train depot were killed in a direct hit by a Fajar missile made in Syria. A total of over 50 people were wounded in Haifa and the Haifa Bay area. 15 Jul 2006 – Katyusha rockets landed for the first time in Tiberias, located 35 kilometers from the Lebanese border on the Sea of Galilee, as well as in nearby communities. 14 Jul 2006 – Shortly after 8:30 p.m. =46riday night an Israeli navy ship was severely damaged by an Iran-manufactured missile fired by Hezbollah. Four IDF soldiers were killed: Staff Sgt. Tal Amgar, 21, of Ashdod; Yaniv Hershkovitz, 21, of Haifa; Shai Atias, 19, ofRishon Lezion; and Dov Steinshuss, 37, of Karmiel. Omer Pesachov, 7, of Nahariya, and his grandmother Yehudit Itzkovitch, 58, of Moshav Meron were killed by a Katyusha rocket in Meron early Friday evening. Roni, Omer’s older sister, was badly wounded, and the grandfather, Naftali, was lightly hurt. The family had fled the Katyushas in Nahariya to spend a quiet weekend with their grandparents. 13 Jul 2006 – Monica Seidman (Lehrer), 40, of Nahariya was killed in her home by a Katyusha rocket Thursday morning. In the evening, Nitzan Roseban, 33, was killed in Safed by a direct rocket hit. On Thursday evening Katyushas landed in Haifa. 12 Jul 2006 – Hezbollah terrorists infiltrated into Israeli territory and attacked two IDF armored jeeps patrolling the border with Lebanon, killing three soldiers and kidnapping two. Ground forces entered Lebanon in the area of the attack. A large explosive device was detonated underneath an Israeli tank, killing all four of the tank crew. An eighth soldier was killed when IDF troops entered Lebanon to try to retrieve the bodies of the tank crew. Throughout the day, Hezbollah terror organization fired Katyusha rockets and mortar shells at Israel’s northern borders’ communities and IDF posts. 27 May 2006 – An IDF soldier was wounded when Katyushas were fired at an army base at Mt. Meron in the upper Galilee. 27 Dec 2005 – A branch of a Palestinian organization connected to Al-Qaida fired 6 Katyushas, damaging a house in Kiryat Shmona and a house in Metulla. In response, the IAF attacked a training base of the Popular Front, south of Beirut. 21 Nov 2005 – An attempt to kidnap an IDF soldier was foiled when paratroopers patrolling near Rajar village discerned a Hezbollah unit approaching. Private David Markovitz opened fire, killing all four. In a heavy attack of mortars and Katyusha rockets that ensued, nine soldiers and and two civilians were injured. 29 Jun 2005 – More than 20 mortars were fired from across the border. Cpl. Uzi Peretz of the Golani Brigade was killed and four soldiers wounded, including the unit’s doctor. Fire was exchanged and helicopters and planes attacked five Hezbollah outposts in the Reches Ramim area. 24 Apr 2005 – Several explosive devices exploded near the Lebanese-Israeli border, in the Mount Dov area. Officials believe the devices were planted by Hezbollah, but this was not confirmed. No injuries were reported in the explosions. 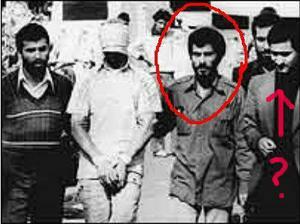 7 Apr 2005 – Two Israeli-Arabs from the village of Rajar near the Israel-Lebanon border were kidnapped by Hezbollah operatives and held in captivity for four days. The men, identified as Muki Ben-Jamal and Nuef Maharj Ben-Ali, said they were interrogated by their captors who wanted information on Israel. They were later released. Israeli officials did not believe that any security information had been compromised. 9 Jan 2005 – An explosive device was detonated against an IDF patrol at Nahal Sion. One Israeli soldier was killed, and a UN officer was killed. 20 Jul 2004 – Hezbollah sniper fired at an IDF post in the western sector of the Israeli-Lebanese border. Two IDF soldiers were killed. 7 May 2004 – Fire in the Mt. Dov sector. IDF soldier Dennis Leminov was killed, and two other soldiers were severely wounded. The IDF returned fire. 19 Jan 2004 – An anti-tank missile was fired at IDF D9 while neutralizing explosive charges near Zari’t. An IDF soldier, Yan Rotzenski, was killed and another soldier was severely wounded. 6 Oct 2003 – Staff Sgt. David Solomonov was killed when Hezbollah fired at an IDF force south of the =46atma Gate in the eastern sector. In addition, the Hezbollah fired missiles and rockets at an IDF post in the Reches Ramim area. 10 Aug 2003 – Haviv Dadon, 16, of Shlomi, was struck in the chest and killed by shrapnel from an anti-aircraft shell fired by Hezbollah terrorists in Lebanon. Four others were wounded. 20 Jul 2003 – Hezbollah snipers fired on an Israeli outpost near Chetula, killing two Israeli soldiers. The IDF retaliated with tank fire directed at a Hezbollah position, killing one operative manning the post. That night, there were multiple Israeli flights over Lebanon, two of which generated powerful sonic booms over Beirut. 7 May 2003 – Hezbollah attacked IDF positions in the Sheba’ farms with heavy rocket, mortar, and small arms fire. One Israeli soldier was killed and five others were wounded in the attack. Lebanese authorities asserted that the Hezbollah firing had been preceded by an Israeli army foot patrol crossing the Blue Line. 5 May 2003 – A cycle of armed exchanges across the Blue Line began. Israel carried out more than 20 air sorties over the country. Subsequently, Hezbollah fired several anti-aircraft rounds with shrapnel landing inside Israel. 22 Mar 2003 – Hezbollah fired rockets and mortars at Israeli army positions in the Sheba’ farms and adjacent areas. This attack followed eight incursions into Lebanese airspace by Israeli aircraft. 6 Jan 2003 – Hezbollah fired anti aircraft shells in the vicinity of Birait in the western sector of the Lebanese border. No one was hurt and no damage was caused. 29 Aug 2002 – Fire at an IDF post in the Mt. Dov sector. IDF soldier Ofer Misali was killed, and two other soldiers were lightly wounded. 12 Mar 2002 – Infiltration: In a shooting attack on the Shlomi- Metzuba route. Six Israelis civilians were killed, among them IDF officer Lt. German Rojkov. 7 Aug 2001 – Two houses belonging to senior members of the former Israeli-allied South Lebanon Army militia were blown up using explosive devices. One of the houses belonged to Robin Abboud; the other to Samir Raslan. Hezbollah is suspected. 28 Apr 2001 – A 60 year-old Israeli man was found stabbed to death in Kfar Ba’aneh, near Carmiel in Galilee. The terrorists responsible for the attack were apprehended in July. Six members of a Hezbollah-linked Palestinian terrorist cell responsible for the murder were arrested in July. The murder was the initiation rite of the organization. 14 Apr 2001 – Fire at an IDF post in the Mt. Dov sector. IDF soldier Elad Litvak was killed. 1 Apr 2001 – A 42 year-old Israeli woman was stabbed to death in Haifa. Her murder was the initiation rite of a terrorist cell, whose members were apprehended in July. Six members of a Hezbollah-linked Palestinian terrorist cell responsible for the murder, originally thought to be criminally motivated, were arrested in July. The murder was the initiation rite of one of the terrorists into the organization. 16 Feb 2001– Fire at an IDF convoy on Mt. Dov. IDF soldier Elad Shneor was killed, and three other soldiers were wounded. 26 Nov 2000 – A charge was detonated near an IDF convoy. IDF soldier Khalil Taher was killed and two other soldiers were wounded. 7 Oct 2000 – Kidnapping: Three IDF soldiers: Adi Avitan, Omer Soued and Binyamin Avraham were kidnapped by the Hezbollah from the Mt. Dov sector. Again, this is post May 2000, and it doesn’t take into account the plothora of attacks that Hezbollah have perpetrated in the past, such as the U.S. Marine Barracks bombing in 1983 that killed 241 Americans, and the coinciding attack on the French military that killed nearly 60. Additionally, countless jetliner hijackings stood as one of the staples of Hezbollah terrorism since their organization came into being in the early 1980’s. Here is another timeline that goes into the beginnings of Hezbollah’s terrorist activities. July 19, 1982: The president of the American University in Beirut, Davis S. Dodge, is kidnapped. Hezbollah is believed to be behind this and most of the other 30 Westerners kidnapped over the next ten years. April 18, 1983: Hezbollah attacks the U.S. embassy in Beirut with a car bomb, killing 63 people, 17 of whom were American citizens. Oct. 23, 1983: The group attacks U.S. Marine barracks with a truck bomb, killing 241 American military personnel stationed in Beirut as part of a peace-keeping force. A separate attack against the French military compound in Beirut kills 58. Sept. 20, 1984: The group attacks the U.S. embassy annex in Beirut with a car bomb, killing 2 Americans and 22 others. March 16, 1984: William F. Buckley, a CIA operative working at the U.S. embassy in Beirut, is kidnapped and later murdered. April 12, 1984: Hezbollah attacks a restaurant near the U.S. Air Force Base in Torrejon, Spain. The bombing kills eighteen U.S. servicemen and injures 83 people. Dec. 4, 1984: Hezbollah terrorists hijack a Kuwait Airlines plane. Four passengers are murdered, including two Americans. Feb. 16, 1985: Hezbollah publicizes its manifesto. It notes that the group’s struggle will continue until Israel is destroyed and rejects any cease-fire or peace treaty with Israel. The document also attacks the U.S. and France. June 14, 1985: Hezbollah terrorists hijack TWA flight 847. The hijackers severely beat Passenger Robert Stethem, a U.S. Navy diver, before killing him and dumping his body onto the tarmac at the Beirut airport. Other passengers are held as hostages before being released on June 30. Dec. 31, 1986: Under the alias Organization of the Oppressed on Earth, Hezbollah announces it had kidnapped and murdered three Lebanese Jews. The organization previously had taken responsibility for killing four other Jews since 1984. Feb. 17, 1988: The group kidnaps Col. William Higgins, a U.S. Marine serving with a United Nations truce monitoring group in Lebanon, and later murders him. Oct. 22, 1989: Members of the dissolved Lebanese parliament ratify the Taif Agreement. Although the agreement calls for the “disbanding of all Lebanese and non-Lebanese militias,” Hezbollah remains active. Feb. 16, 1992: Sayyad Hassan Nasrallah takes over Hezbollah after Israel kills the group’s leader, Abbas Musawi. March 17, 1992: With the help of Iranian intelligence, Hezbollah bombs the Israeli embassy in Buenos Aires, killing 29 and injuring over 200. July 18, 1994: Hezbollah bombs the Jewish community center in Buenos Aires–again with Iranian help–killing 86 and injuring over 200. Nov. 28, 1995: Hezbollah bombards towns in northern Israel with volleys of Katyusha rockets in one of the group’s numerous attacks on Israeli civilians. March 30, 1996: Hezbollah fires 28 Katyusha rockets into northern Israeli towns. A week later, the group fires 16 rockets, injuring 36 Israelis. Israel responds with a major offensive, known as the “Grapes of Wrath” operation, to stop Hezbollah rocket fire. Aug. 19, 1997: Hezbollah opens fire on northern Israel with dozens of rockets in one of the group’s numerous attacks on Israeli civilians. October 1997: The United States lists Hezbollah as a terrorist organization. Dec. 28, 1998: Hezbollah opens fire on northern Israel with dozens of rockets in one of the group’s numerous attacks on Israeli civilians. May 17, 1999: Hezbollah opens fire on northern Israel with dozens of rockets in one of the group’s numerous attacks on Israeli civilians. June 24, 1999: Hezbollah opens fire on northern Israel, killing 2. May 23, 2000: Israel withdraws all troops from Lebanon after 18 years patrolling the “security zone,” a strip of land in the south of the country. The security zone was set up to prevent attacks on northern Israel. June 2000: United Nations Secretary General Kofi Annan certifies Israel’s withdrawal from Lebanon. Shortly thereafter, the U.N. Security Council endorses Annan’s report. Hezbollah nonetheless alleges Israel occupies Lebanon, claiming the small Shebba Farms area Israel captured from Syria during the 1967 war as Lebanese territory. Oct. 7, 2000: Hezbollah attacks an Israel military post and raids Israel, kidnapping three Israeli soldiers. The soldiers are later assumed dead. In mid-October, Hezbollah leader Nasrallah announces the group has also kidnapped an Israeli businessman. In 2004, Israel frees over 400 Arab prisoners in exchange for the business man and the bodies of the three soldiers. March 1, 2001: The British government adds Hezbollah’s “military wing” to its list of outlawed terrorist organizations. April 9, 2002: Hezbollah launches Katyushas into northern Israeli town. This assault comes amidst almost daily Hezbollah attacks against Israeli troops in Shebba farms. Dec. 11, 2002: Canada lists Hezbollah as a terrorist organization. Aug. 10, 2003: Hezbollah shells kills 16-year-old Israeli boy, wound others. June 5, 2003: Australia lists Hezbollah’s “military wing” as a terrorist organization. Sept. 2, 2004: United Nations Security Council Resolution 1559 calls for “the disbanding and disarmament of all Lebanese and non-Lebanese militias,” a reference to Hezbollah. March 10, 2005: The European Parliament overwhelmingly passes a resolution stating: “Parliament considers that clear evidence exists of terrorist activities by Hezbollah. The (EU) Council should take all necessary steps to curtail them.” The European Union nonetheless refrains from placing the group on its list of terror organizations. July 12, 2006: Hezbollah attacks Israel with Katyushas, crosses the border and kidnaps two Israeli soldiers. Three Israeli soldiers are killed in the initial attack. Five more soldiers are killed as Israel launches operation to rescue the soldiers and push Hezbollah from its border. Hezbollah launches rockets into towns across northern Israel. Yes, they are a terrorist organizaiton, and not a group of freedom fighters as some have deluded themselves into believing.